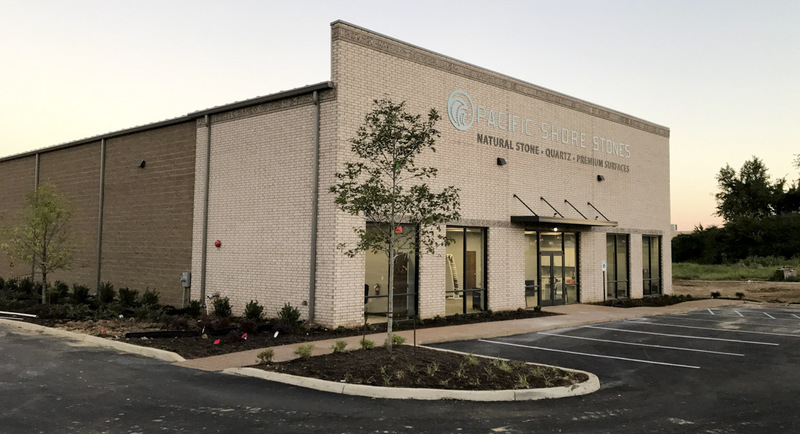 Having relocated from Memphis to a brand-new custom-built showroom and warehouse, the Olive Branch showroom features inspirational vignettes using natural stone, quartz and Neolith. There is a kitchen display showcasing Shadow Storm marble counters and a full height backsplash with a matching Shadow Storm table. 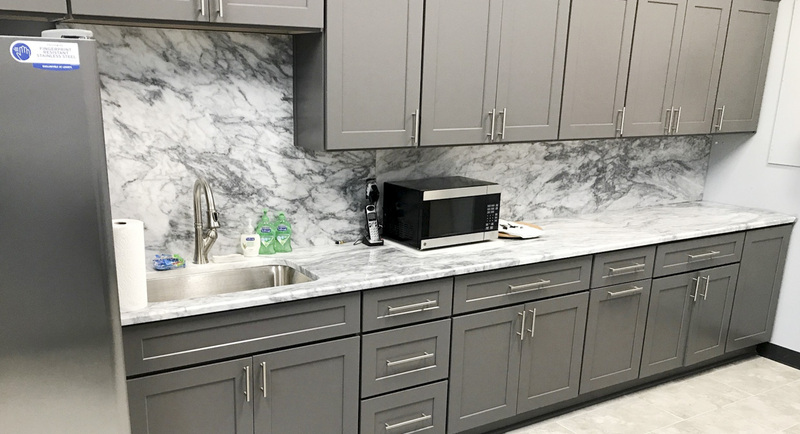 In the showroom there is a coffee bar for customers to enjoy which boasts a beautiful Grey Goose quartzite countertop and backsplash. In the same area, bookmatched Neolith Calacatta slabs clad the wall for a sleek, clean look. Customers can collaborate on design ideas at the desks in the showroom made of our own Pacshore Quartz: Tonga Black, Tonga Ivory and Tonga Steel. 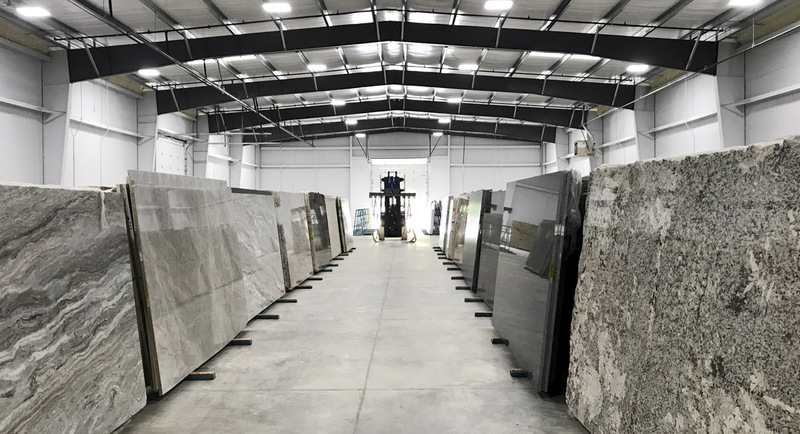 The 25,000 square foot indoor warehouse showcases a large selection of slabs including granite, marble, quartzite, soapstone, travertine, onyx, quartz and sintered surfaces. We have over 100 different color stones in stock, including over 25 Caesarstone designs since we are an exclusive partner of theirs. 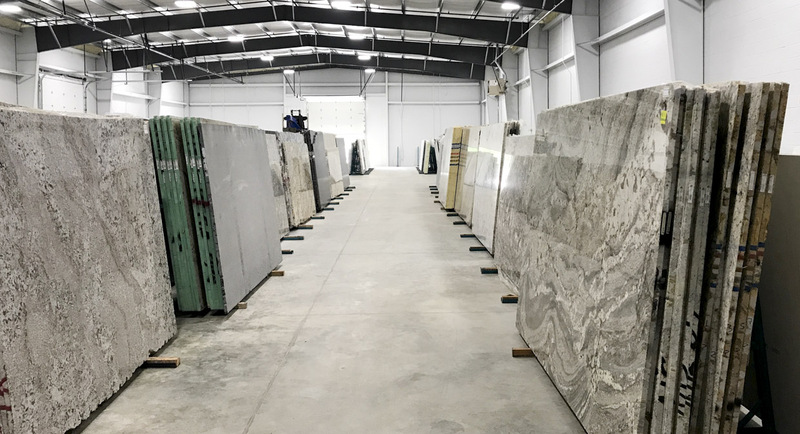 Being a Brazilian owned company, we showcase some of the most beautiful stones from Brazil, and other countries, that are handpicked by the operating partners. 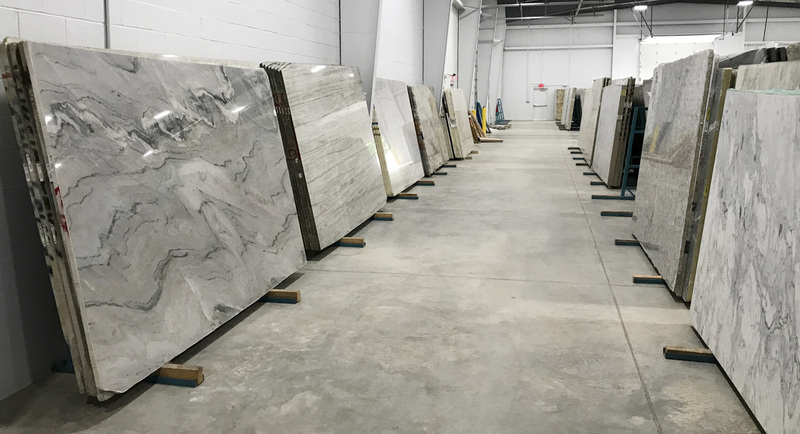 Whether you are seeking slabs for creative purposes or functionality, the location’s selection and staff will guarantee to lead you to the right choice. Our staff, who are members of the Olive Branch Chamber of Commerce, bring over 10 years of experience and are eager to help you with all of your design ideas.